Jordan Eberle is only too happy to be playing a round of golf in August. But he won't be feeling the same way if he's on the links come next May. While he's no threat to outplay any of the players on the PGA Tour, Eberle, who had an impressive rookie campaign with the Edmonton Oilers, is certainly no slouch whenever he tees off. That said, the 21-year-old forward, who scored 18 goals and posted 43 points in 69 games in 2010-11, fully intends to not be playing 18 holes in the spring of 2012. And there's no doubt Oilers fans want more of Eberle. The native of Regina, Saskatchewan, made his NHL debut with Edmonton on October 7, 2010, against the Calgary Flames. And what a debut it was. Eberle scored his first goal, while short-handed in the third period, getting past a defenceman on a two-on-one before depositing a flying backhand deke for a goal that was eventually chosen by hockey fans as the NHL's Goal of the Year. He then notched an assist on the powerplay, as the Oilers came out on top by a score of 4–0. Eberle was named the game's first star. While there was plenty of good for Eberle, team-wise, it was a different story. Edmonton finished with the worst record in the NHL for the second consecutive campaign. 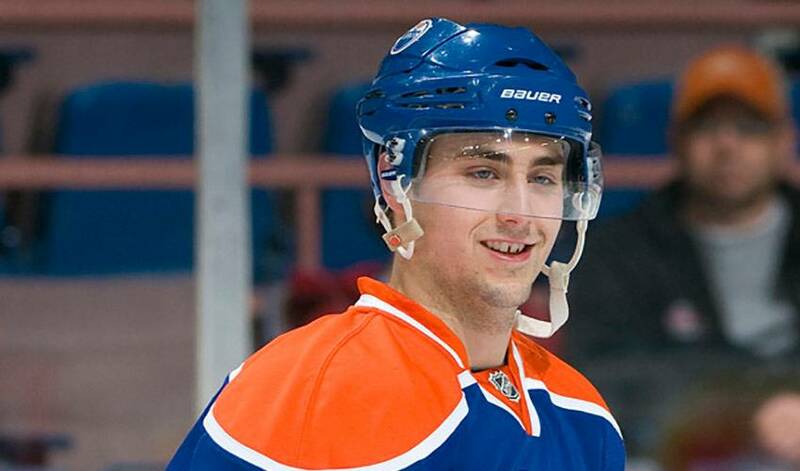 “No matter what, it's always tough when you're losing,” said Eberle, who, following his NHL rookie season, joined the Canadian men's team for the second consecutive year for the 2011 World Championships in Slovakia. “For the most part, we competed against everyone. With some of the game's top young talent in 2010 first overall selection Taylor Hall and first-round pick Magnus Paajarvi, there is widespread optimism within the organization, a team that appears poised to start making some noise in the Western Conference. Eberle is ready to step up his game. As for what he was most proud of when it came to his rookie season, the player who has appeared in two World Junior Championships, winning gold and silver in 2009 and 2010, respectively, did not single out his stellar offensive play, but rather how he performed in his own end. Eberle heaps praise upon captain Shawn Horcoff for his mentorship at and away from the rink. Now, Eberle and his fellow Oilers will look to build on their team chemistry when the puck drops on the 2011-12 campaign. Eberle is hopeful it's one that will keep his golf clubs in the garage, until well past May in 2012. “That's the plan,” he laughed. A plan that seems to be on par with what his teammates are thinking, too. Jordan Eberle's favourite purchase this year reveals a romantic side to the winger! That and more in his Player Q&A. Young hockey players meet Eberle, Hendricks as Goals & Dreams furthers support for KidSport. Eight players took part in Canadian M.P. Blake Richards’ annual Rocky Mountain Hockey Challenge to help raise money for RCMP Victim’s Services Units in Alberta. Stanley Cup champ Jonathan Quick and Sam Gagner took to Twitter on Thursday to do Q&A sessions with their fans.